If you are arrested while you are in Las Vegas and cannot afford to pay the cash bond, you can hire a bail bondsman to put up a surety bond on your behalf. The specific type of bond that you need can depend on the crime for which you are facing charges. After arrest, you will go before a judge. The court will decide on your bail amount, if any is required. You may be released on your own recognizance. This means that you will not have to pay any bail to be released and is more likely to happen if you are facing misdemeanor charges. The court may set a bail amount. This typically occurs for many felony charges. There is a risk that you may be detained without any type of bail being set. This more often happens if you are being charged with murder or if you are considered to be a flight risk. When the court sets a bail amount, you have two choices to bond out of jail. If you can pay the full amount to the court, this is called a cash bond. If you do not have enough money to pay the bail, you can secure a surety bond through a bail bondsman. For a surety bond, you will pay a portion of the bail amount to the bondsman who will then pay the bail on your behalf. You may also be able to obtain a bond for little or no money down. However, you will need to place some type of property up for collateral that is agreed upon between you and the bail bondsman. If you would like to secure a bond, you will want to find a qualified bail bondsman. You will be required to pay a fee that is equal to 15% of the bail amount. The bail bondsman will then go to the jail and pay the bail so that the release process for the detainee can begin. As required by law, a bondsman will accept 15% of the amount for bail that the court or judge set in the case. This may or may not be considered as expensive, depending on how high the bail is set. For example, if the judge set bail at $5,000, the amount you would pay the bondsman would be $750. While this may seem like a lot of money to come up with all at once, it is certainly much less than the original $5,000. 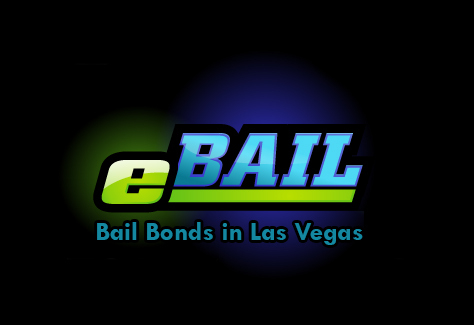 If you are looking for a knowledgeable and reliable bondsman in Las Vegas, turn to Marc Gabriel and eBAIL. We are renowned in the region and come highly recommended by top attorneys in this area. As the only bail bond service that is accredited with the Better Business Bureau, you can have confidence that we will get the job done promptly and accurately. We accept payments in person, by phone, and online. We will even work with you to come up with payment arrangements that better fit your budget. Previous post: Can a Bail Bondsman help if I have a warrant?